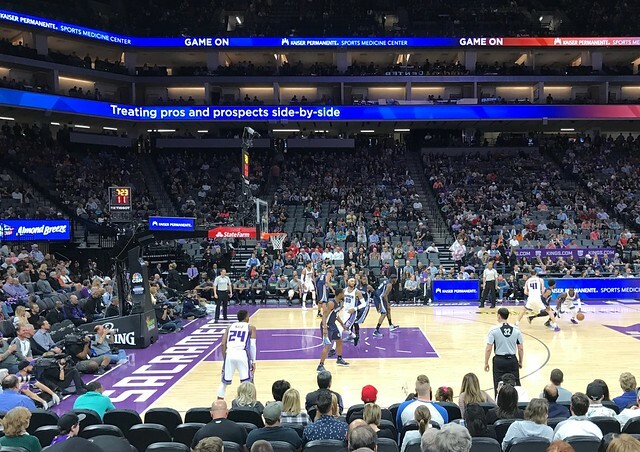 I went to the Sacramento Kings versus Memphis Grizzlies NBA Basketball game with Phil. Holding a small lead for most of the game, the Kings held on to win by the score of 91 to 90. Darren Collison led the Kings with 23 points on 8 for 13 from the field, 1 for 2 from three point range and 6 for 7 from the free throw line. He made two free throws to put the Kings up by one with 5.7 seconds left. I enjoyed watching Buddy Hield. He was the Kings second highest scorer with 14 points. The Grizzlies were led by Mike Conley. He had 22 points on 8 for 23 from the field, 1 for 7 from three point range and 5 for 6 from the free throw line. As a team, the Grizzlies were 5 for 26 from three point range. The Kings have 4 wins and 3 losses in games that I have seen in person during the 2016/2017 NBA season.